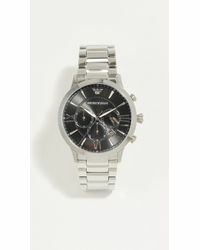 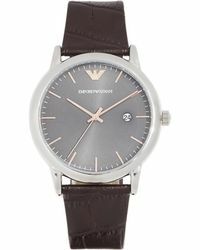 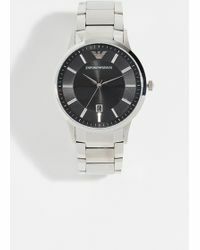 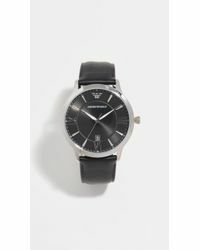 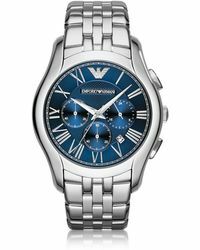 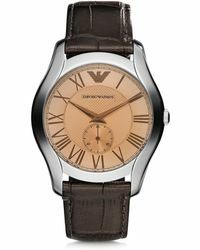 Bring Italian flair to your wrist with an Emporio Armani watch. 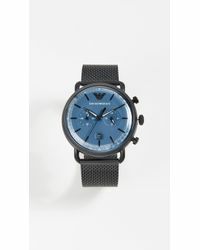 The internationally renowned fashion house brings its customary elegance to timepieces, including chunky stainless steel chronograph styles, titanium and rubber versions with a sporty aesthetic and classic dress watches. 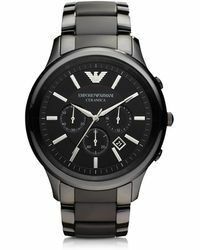 Look for the famous eagle insignia in place of 12 on the dial.